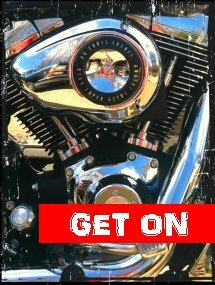 The Motorcycle Safety Foundation now has a basic skills course you can take online. It’s not a hands-on class, of course, since it’s virtual. But it might be good prep work if you are thinking of taking the MSF course in the future – or even a good refresher if you’re an experienced rider. The course costs $19.99 and you can learn more at the MSF website. 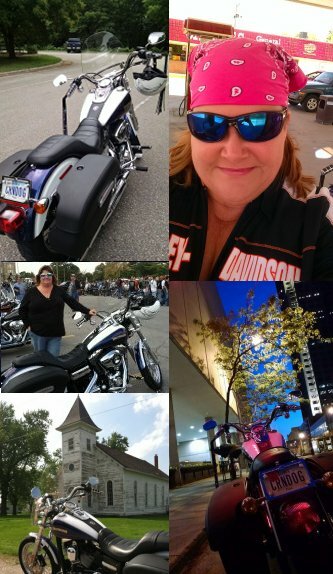 Enterprise Rent-A-Car is now offering motorcycle rentals in the City of Lost Wages… you have to have a valid motorcycle license to rent, but mandatory helmets are provided compliments of Enterprise. The pilot program is based in Vegas, with rentals ranging from $120 to $160 per day. They’re presently renting only Harley-Davidson ‘Glide models, with plans to offer the Heritage Softail Classic and Fat Boy Lo by year’s end. No word on when or if other brands may be offered. 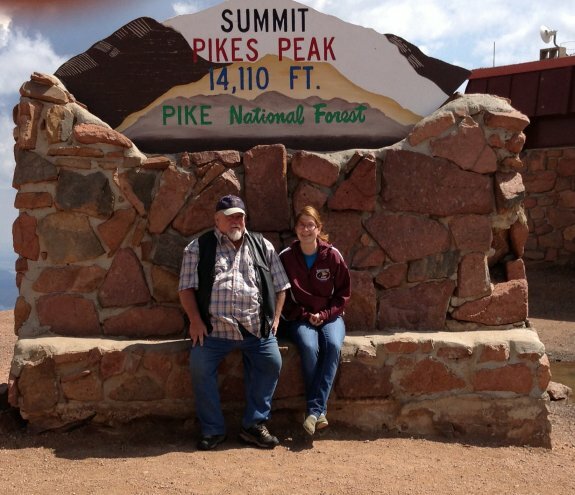 All photos by Stephanie Green, with the exception of the one taken in front of the “Summit” sign at Pike’s Peak. That photo was courtesy of Random Stranger. 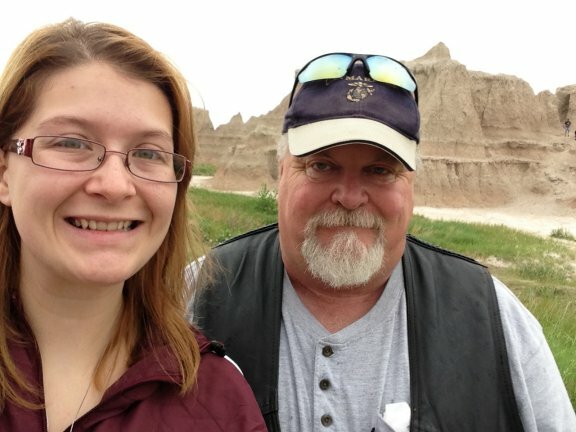 Now that everyone’s back safe and sound, I just have to share the little adventure that my husband and daughter undertook last week: they went on a dad/daughter road trip to South Dakota and Colorado! 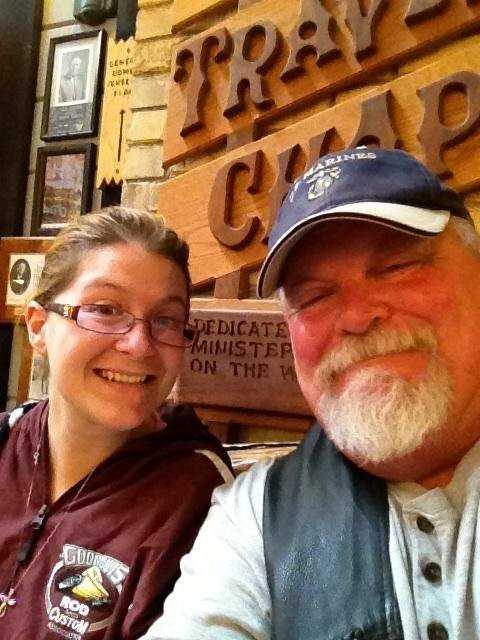 And although I didn’t get to go with them (due to lack of vacation time banked at work), I am SO glad that they went – Steve loves Colorado and it had been 20 years since we last were there. 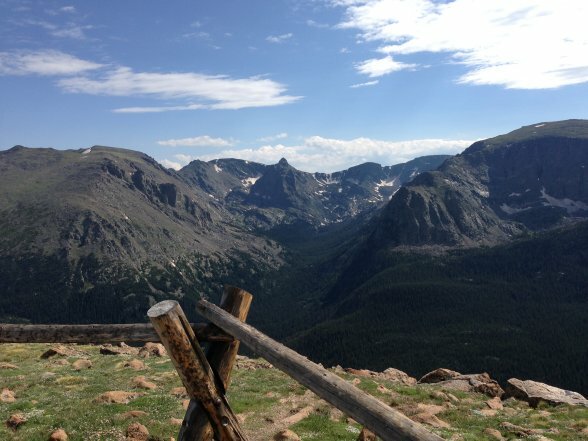 And I’ve always wanted Stephanie to see the mountains, the Black Hills, and the Badlands. After a lot of discussion, Steve decided to rent a car rather than ride the motorcycle. It would give the two of them an opportunity to share the driving responsibilities – and, as it turned out, the car was a much safer place to be at a couple points in the trip. 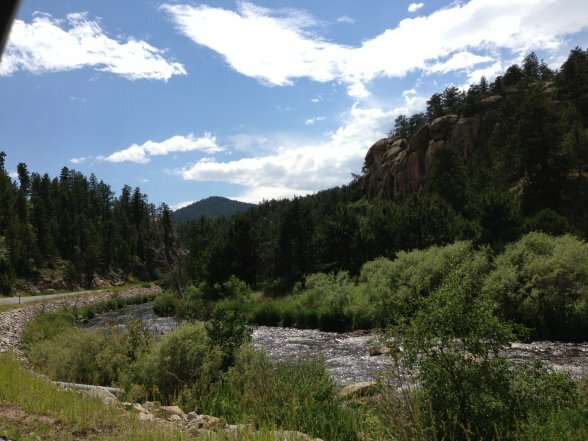 Still, both legs of this trip – South Dakota and Colorado – of course make beautiful bike trips. I rode pillion with Steve on the Colorado trip back in 1989 (my first real motorcycle ride!) 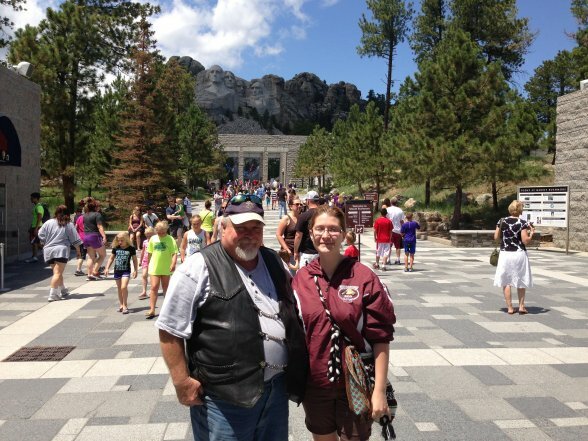 and of course we’ve been to South Dakota twice on our trips to Sturgis in 2006 and 2009. Their route on Day 1 took them to western Iowa and north to Sioux Falls, SD. West from there through Mitchell where they looped through town to see the famed Corn Palace, and on through the Chamberlain area where they stopped at the Lewis & Clark rest area and Al’s Oasis. They stopped at Murdo (home of “1880 Town”) for the night. This is the same route we have taken to Sturgis, with the exception that we stay overnight at the halfway point of Mitchell. 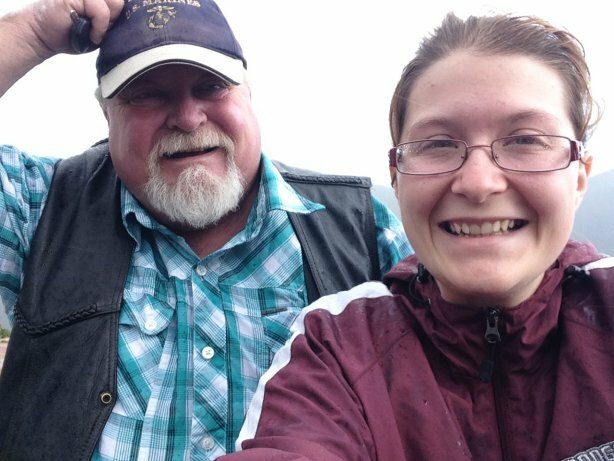 Stephanie has been as far as Chamberlain several times, having traveled to some of the towns around there on missions trips through her church. This was the first time she had been west of that area. 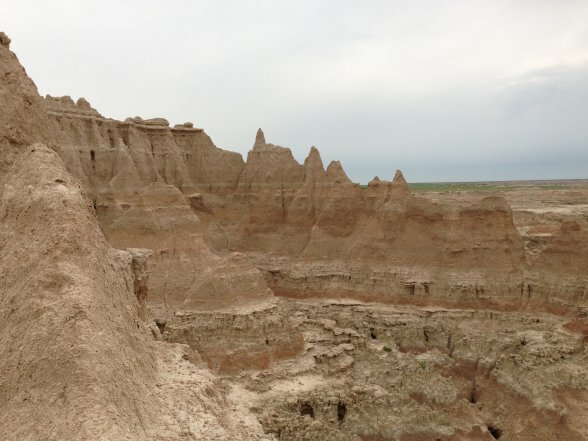 The next day they continued west, taking the Badlands Loop and stopping at Wall Drug before heading on to Rapid City and Mt. Rushmore. 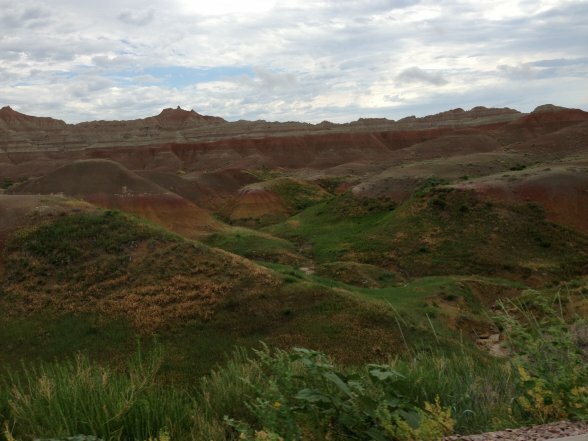 Rain dogged them as they traveled the Badlands Loop, but they stopped at several of the scenic overlooks anyway and explored some on foot. 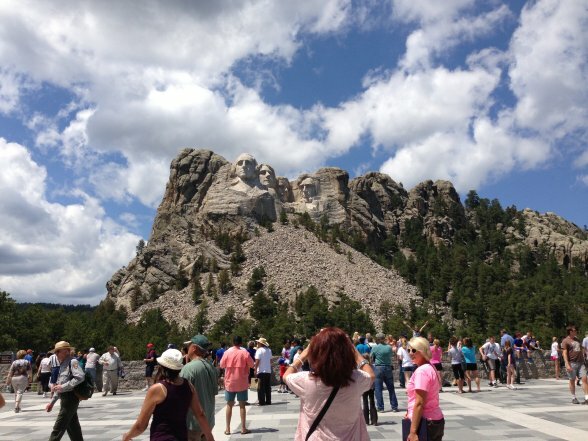 They left Rushmore and traveled Iron Mountain Road to the south before stopping for the night at Hot Springs, SD. We’ve traveled IMR twice on the bikes – Steve said that of course it’s still beautiful, but not nearly as enjoyable to travel in a car as it is on the bike. 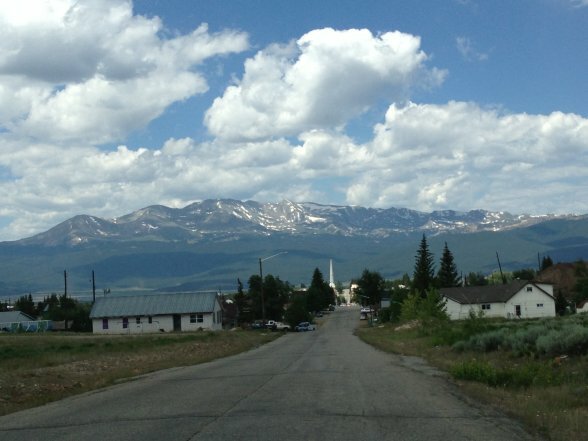 On Day 3 they traveled from Hot Springs west to Wyoming and then south through Cheyenne to Colorado. 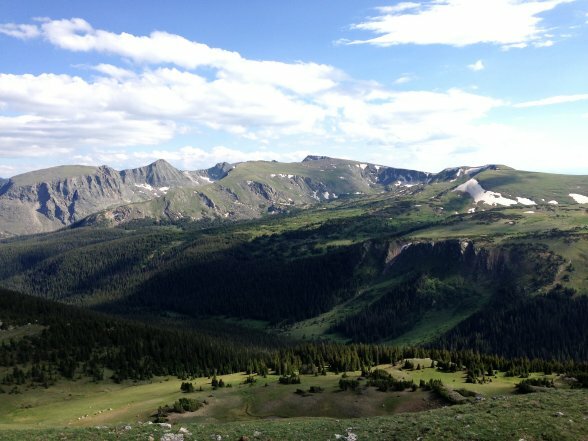 In Loveland they picked up Highway 34 through Big Thompson Canyon and Estes Park, then in to Rocky Mountain National Park. They were still getting a lot of rain – they said when they were up in the Park that it was “sleeting sideways” for a time – to be expected up in the mountains. Shortly after they snapped a photo of the two of them enduring the sleet, they said the sun came out and it was beautiful for the rest of the trip. I was very happy to hear that they got to finally enjoy the mountain views under sunny skies. Trail Ridge Road took them through the park, then they continued south to Granby, through Kremmling, and south to the tiny ski town of Silverthorne where they spent the night. Enduring wind and sleet in Rocky Mountain National Park. Moments later, the sun came out! 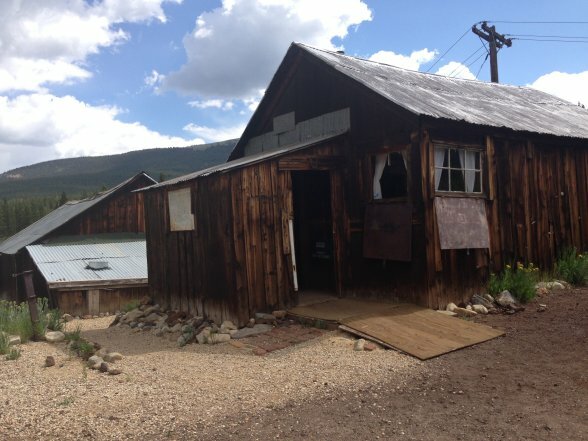 The next day’s destination was Leadville – a former silver mining boom town that has staked its primary tourism claim on being the home of silver king Horace Tabor and his young wife, Elizabeth “Baby Doe” McCourt, who together lived one of America’s most captivating rags-to-riches-to-rags stories. 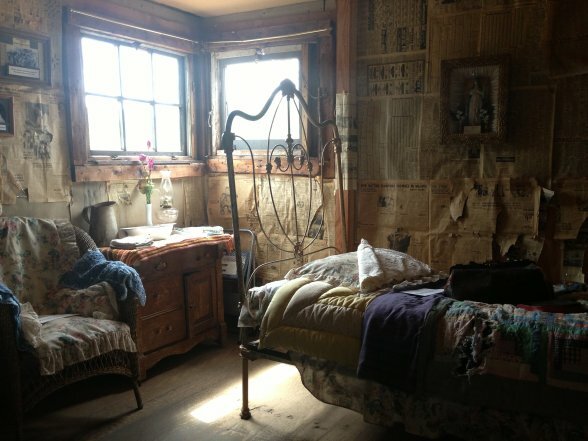 They visited the tiny shack where Baby Doe lived her widowed years following Horace’s death, the long-silent mine that had produced the Tabor’s millions, and the open fields of abandoned mines. 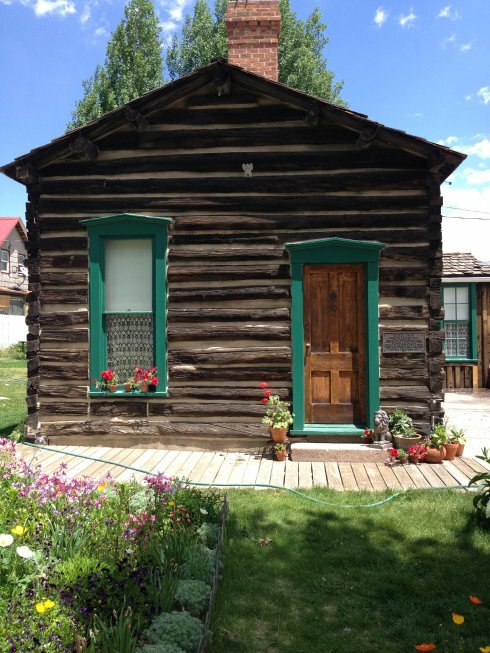 They also visited Healy House, home of Leadville founder August Meyer, and the Dexter Cabin – an example of a Victorian-era hunting cabin. 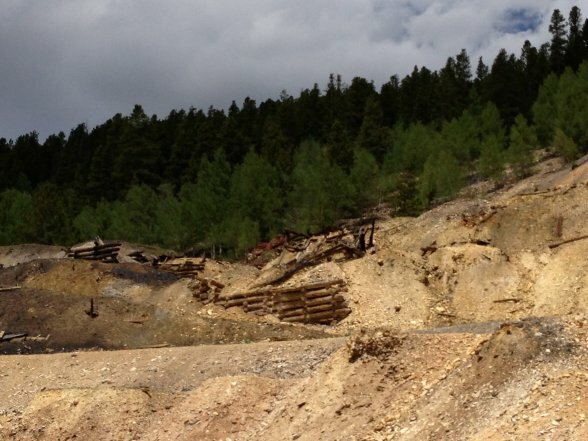 The Matchless Mine, run by Horace Tabor and his wife. This is the shack where “Baby Doe” lived her widowed years after the collapse of the fortune she had enjoyed with her husband. Inside the cabin at the Matchless Mine. Baby Doe was found frozen to death here in 1935. 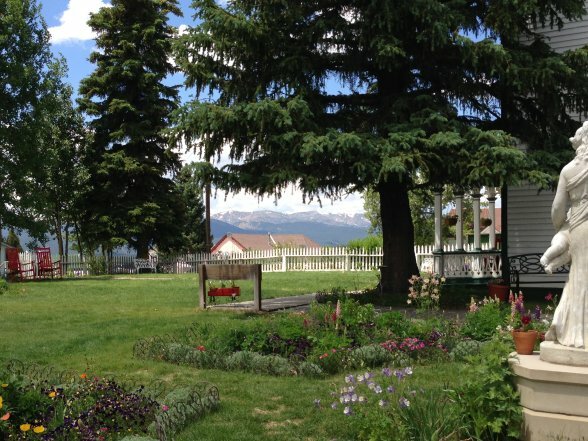 Gardens at Healy House, home of one of Leadville’s founders, August Meyer. The Dexter cabin, a Victorian-era “man cave” for wealthy hunters on expedition. 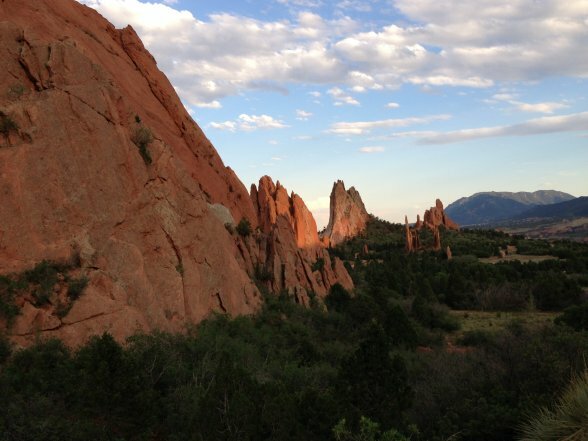 From Leadville they headed east toward Colorado Springs, where they took an evening drive through Garden of the Gods. 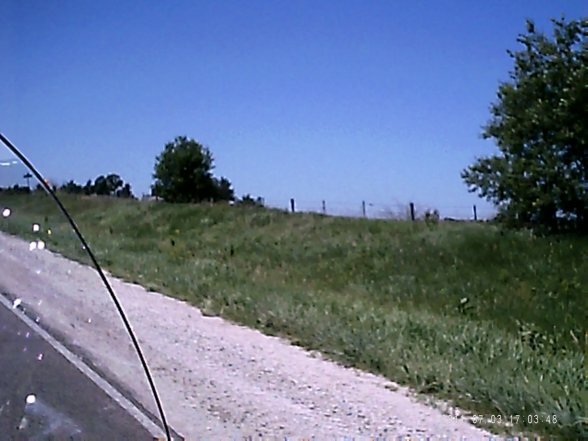 They also drove past the former location of the Flying W Ranch, where Steve and I have great memories of enjoying a “chuck wagon supper and cowboy show” on our first bike trip together back in 1989. 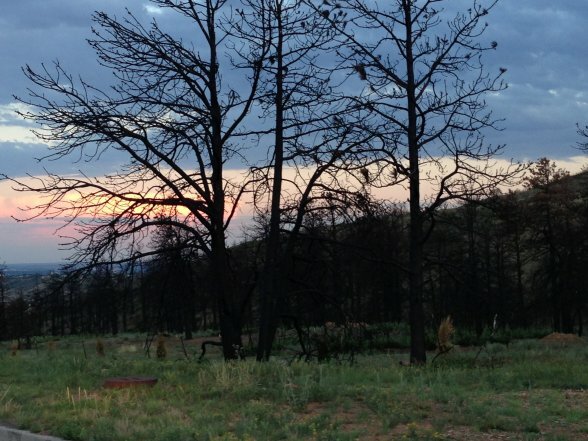 Sadly, the Flying W burned to the ground during the Colorado wild fires a couple of years ago. Former site of the Flying W Ranch in Colorado Springs. 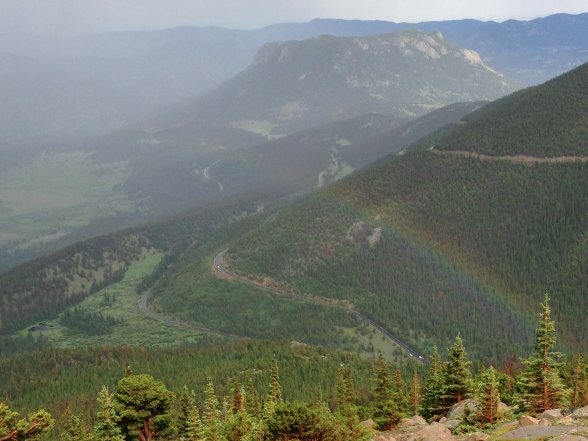 They both reported having a fair amount of trouble dealing with the high altitude and thin mountain air. 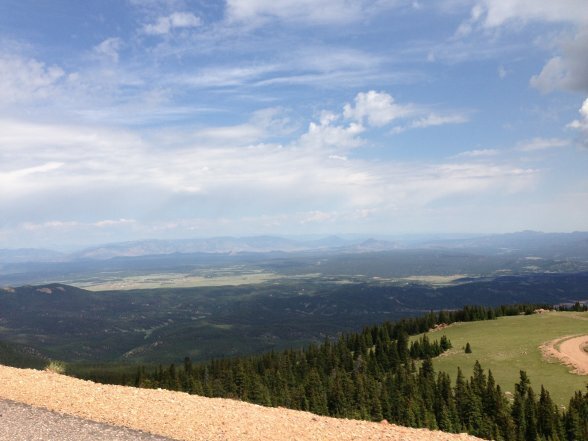 Steve said that he was glad he had not brought the bike on this trip, becoming so dizzy on Pike’s Peak that he realized he likely would not have been able to ride down. It’s interesting that these physical effects had never been an issue for him on any of four or five previous trips. 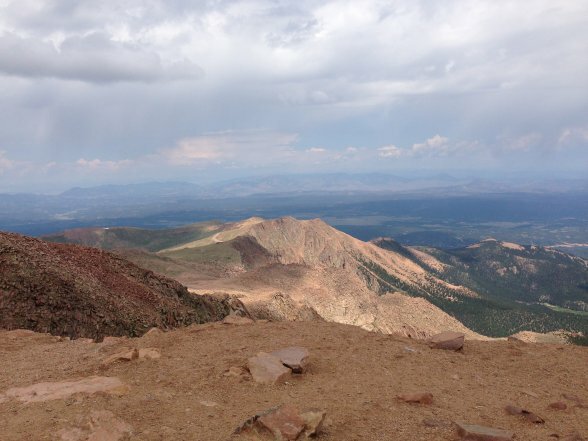 At the summit of Pike’s Peak! No one’s feeling especially well at this point. After a visit to the summit, it was time to begin the trek home. 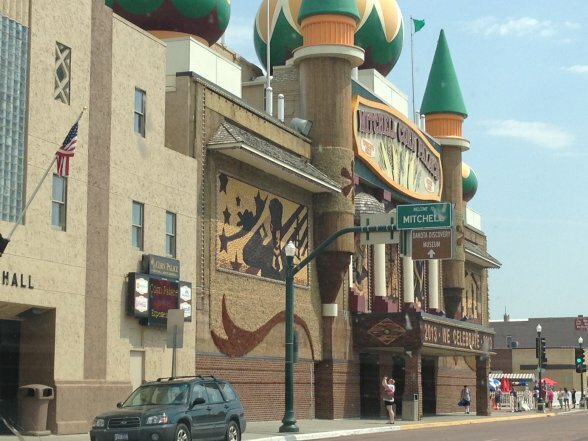 They traveled the rest of the day heading east through Colorado, Kansas, and Nebraska, with an overnight stop in Kearney, NE before arriving home on Day 6. Upon my return home from work that day, I was treated to a slide show of over 1,000 pictures – almost as good as being there! 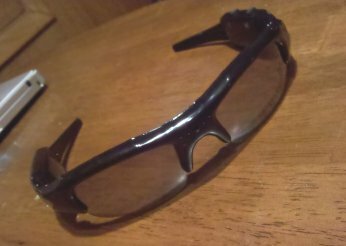 Super spy glasses… or cheap piece of crap? I have a history of buying crap you see on television and then being disappointed in it. Ab Cruncher, Egg Rings, the Esteban Electric Guitar. 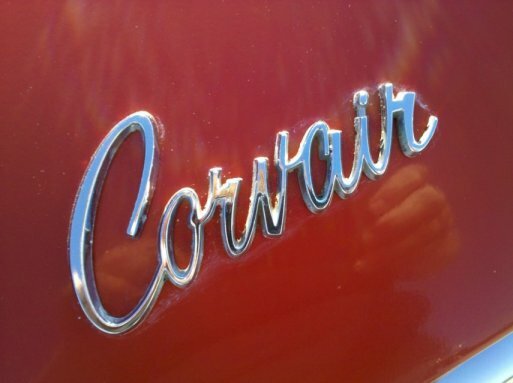 Well recently at the Good Guys car show, we came upon a vendor selling products that are undoubtedly over-priced and destined to disappoint. 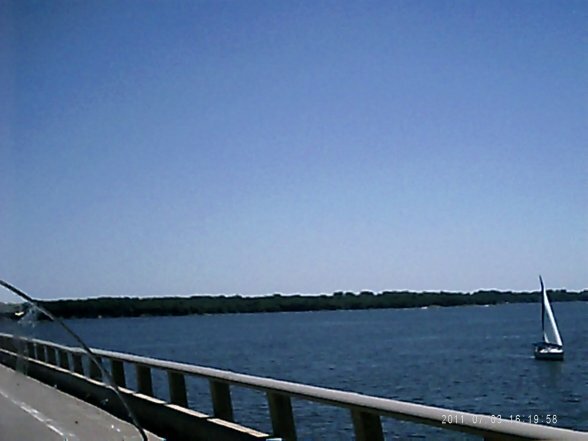 But, one of them offers what quite possibly could be the solution to a problem I’ve had since the very first day I rode my own bike across the Mile Bridge at Saylorville Lake: I’ve been looking for a way to safely take pictures of my beautiful state, from the bike, without having to coordinate a pull-over of the whole merry band and without having to fumble for a camera stashed in a pocket. Maybe the solution is “Mobile Eyewear Recorder,” a pair of sunglasses with a tiny still and video camera embedded between the eyes. Ultimately we decided to take a chance given the price. We took the glasses for a test ride on July 4 and as these pictures prove, I still have a little to learn about getting decent results. This photo of a rustic barn illustrates the need to snap the shutter button just a tad sooner. 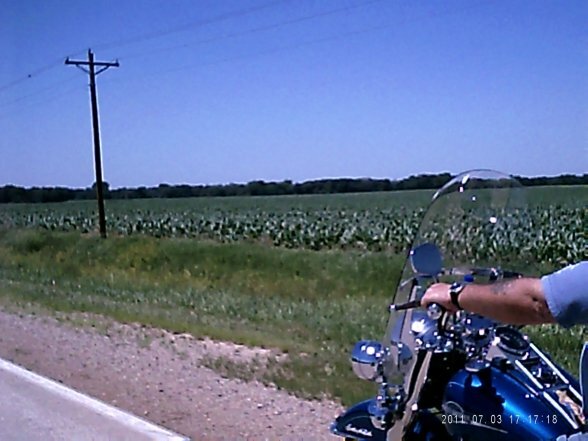 This photo of Steve on his bike illustrates the point that the center of your forehead doesn’t see what you may actually be seeing in your peripheral vision. Finally, I took a few segments of video with the camera too. This taught me a couple of things as well: a). 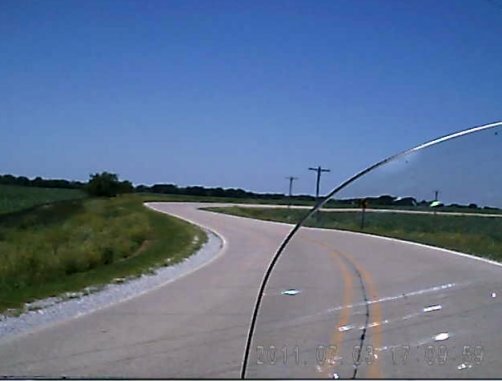 I move my head around a lot when riding – and that’s good, it means I’m always looking for potential hazards on the road. And b). Watching video taken from the center of my forehead makes me queasy. The one advantage of the video? Well it appears I can snag some pretty good still shots out of it (examples below). *Note to self: investigate Ashton Kutcher solution ASAP. Here’s how we spent the first part of our July Fourth weekend… baking in the sun at the Good Guys Rod & Custom Heartland Nationals! 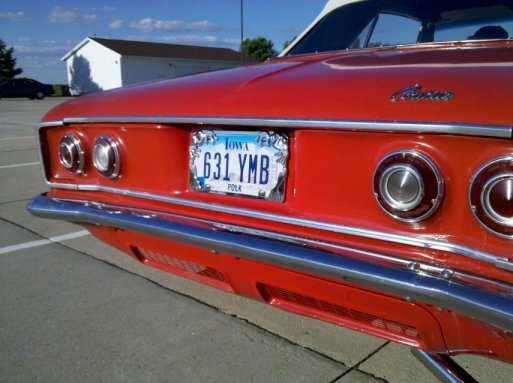 Twentieth year in Des Moines – we’ve gone to (and had a car in) every show but one since they’ve been here. I posted a Good Guys 2011 photo album on Webshots with all the pictures I took, but here are a few of my favorites! 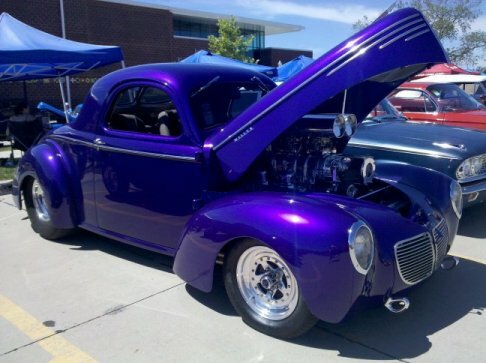 When we first started “rodding” a little more than 20 years ago, the paint trend was quickly moving toward bright colors that were a far cry from the subdued tones of everyday cars. I’m glad to see this “trend” still holding its own! 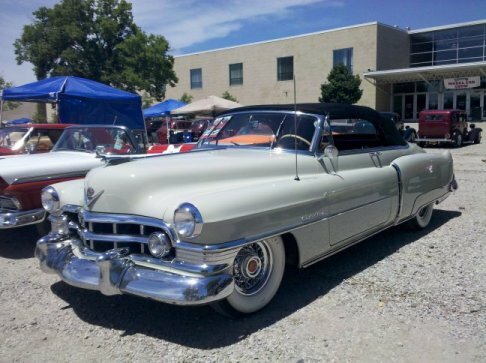 These old Caddy’s are LOADED with style and fab-fifties FINS!! 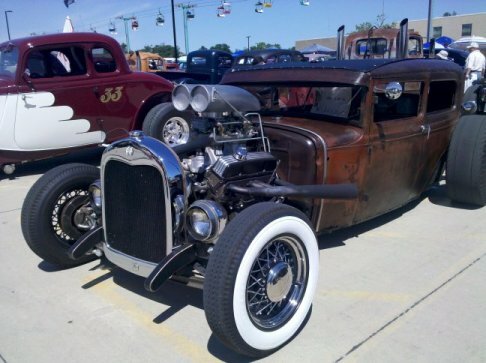 Not every car at the show is painted… there was a slew of “rat rods,” some clear-coated and some not, but all exhibiting their natural rusty goodness. 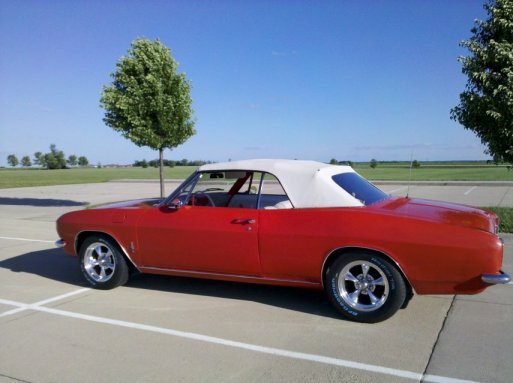 I really dig those wide-white-walls and wire wheels! 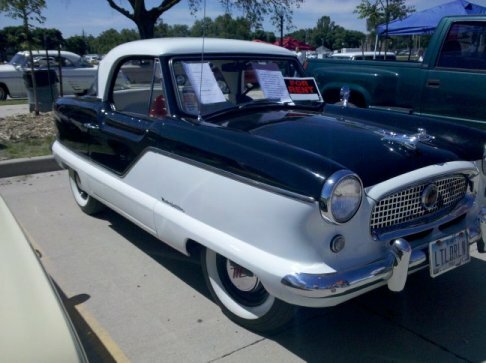 This is an early 60’s Nash Metropolitan – I had a project car just like this for a year or so, but eventually sold it to gather the cash to buy… a motorcycle! 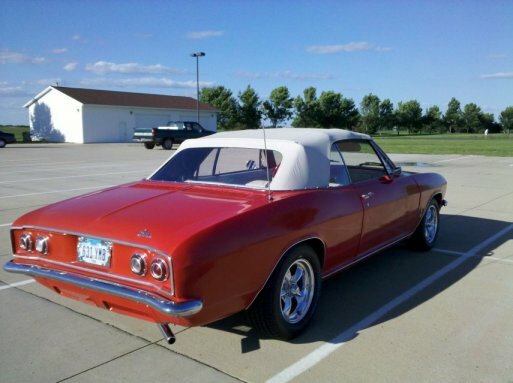 This one’s for sale for ten grand… might be a tad pricey, but man they are NEAT little cars! I’d love to have one again. 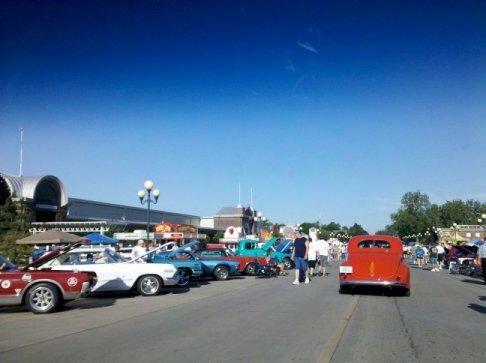 Here’s a view of the main drag – the “Grand Concourse” of the show. 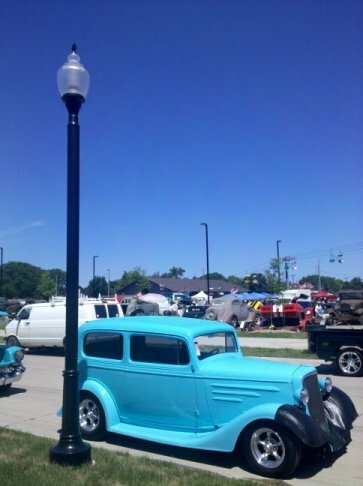 And finally – it was a little painful for me to see this ’37 Chevy 2-door sedan. 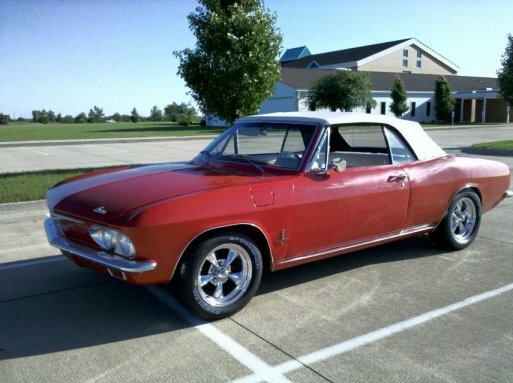 We owned this car – in fact we BUILT this car. 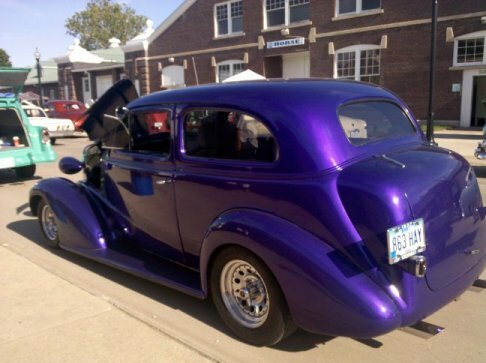 This is the first street rod my hubby and I built back in 1990-91, and the car in which we had all of our first ten years’ worth of rodding adventures, and the car in which our now-grown daughter took all her early car show trips. 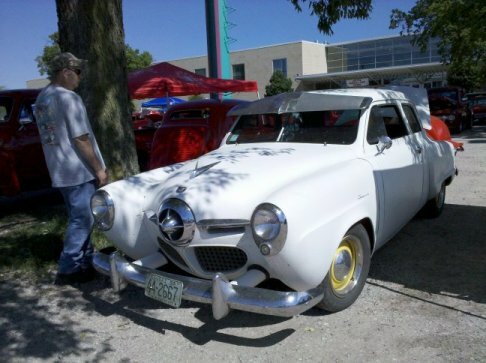 We sold the car about ten years ago and haven’t seen it around town at all – except this weekend, at this show. I looked in the windows – the guy hasn’t changed a thing since he’s owned it. 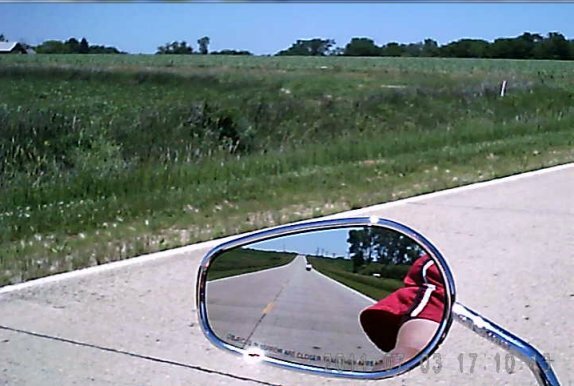 It looked exactly like I remembered… like I could open the door and put my baby girl in the back seat with her Crocodile Dentist game, and take off down the road for a small-town show or even the Street Rod Nationals in Louisville. I got a little emotional looking at the car after all this time – pretty much a time capsule holding a LOT of great memories! 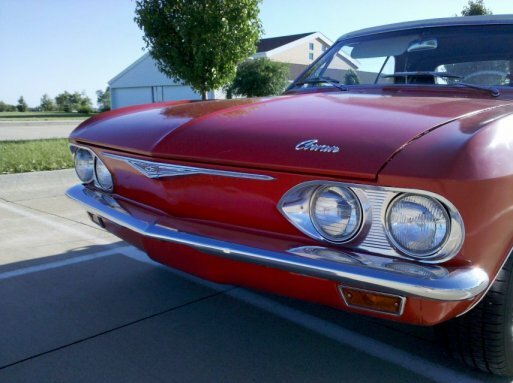 Just thought I would share a few pictures of the 65 Corvair Convertible that’s been occupying my hubby’s time for the past couple of months. 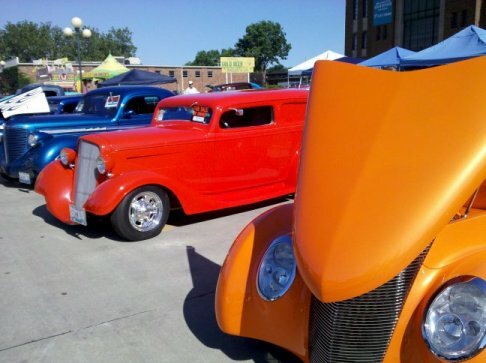 He has spent countless hours on bodywork, painting, polishing, trouble-shooting, repairing, fixing, fussing, screwin’-and-gluin’… our whole family is looking forward to the Good Guys Rod & Custom Heartland Nationals this weekend! Selected via Random.org, the winner of the J&P Gift Card is…. I honestly wish I had more of these to give away – I REALLY enjoyed reading everyone’s comments and I appreciate each of you popping in to enter the contest! UPDATE: The J&P Gift Card Give-away ends at 10 pm central, June 8! Click the link below for your chance to win! 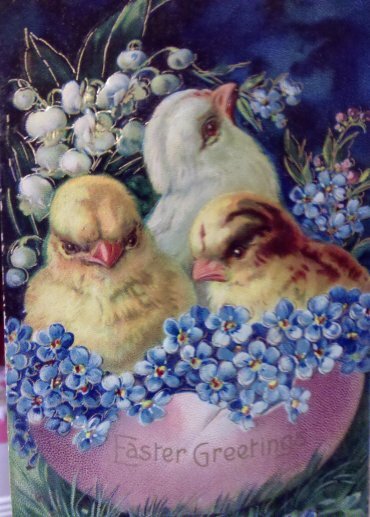 Just a quick reminder that the J&P Gift Card Give-away ends June 8! Click here to enter for you chance to win! Thanks to all who left comments on the J&P gift card post! 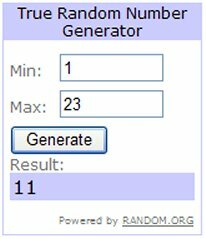 We had 23 comments, and I used the random generator over at random.org to select a winner. And that winner is…. 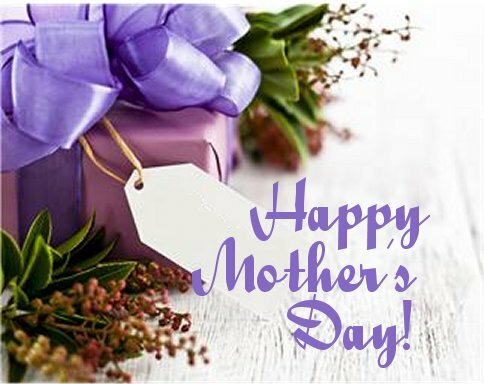 Congratulations, Wendy – the folks at J&P will be in touch to get you the gift card! I really do appreciate each of you who took time to participate, and all who spend time reading and commenting here! And, I thank J&P Cycles for thinking of me in facilitating their give-away!